Powerful - economical - hygienic! The new AirStar hand dryer for the universal use sets new standards: above average performance, modern Design, easy assembly and touch-free use. The device with the best price/performance ratio in its class. The new generation of Highspeed Compact Class products is produced with the undoubted starmix technology and sealed with the "Made in Germany" quality. Whether in a store, office, surgery, hotel or restaurant, public space or amusement park - dry hands in 17 seconds with the AirStar. Im am on your side in the constant fight against unnecessary paper waste, mean bacteria and high costs - I am your AirStar! My advanced technology dries your hands and hair ultra fast with my high-speed power, hygienic, effiectively and efficiently. TOGETHER; LET US MAKE THE HAND AND HAIR DRYERS CLEAN AND ENVIRONMENTALLY FRIENDLY. No more annoying paper waste in the sanitation. 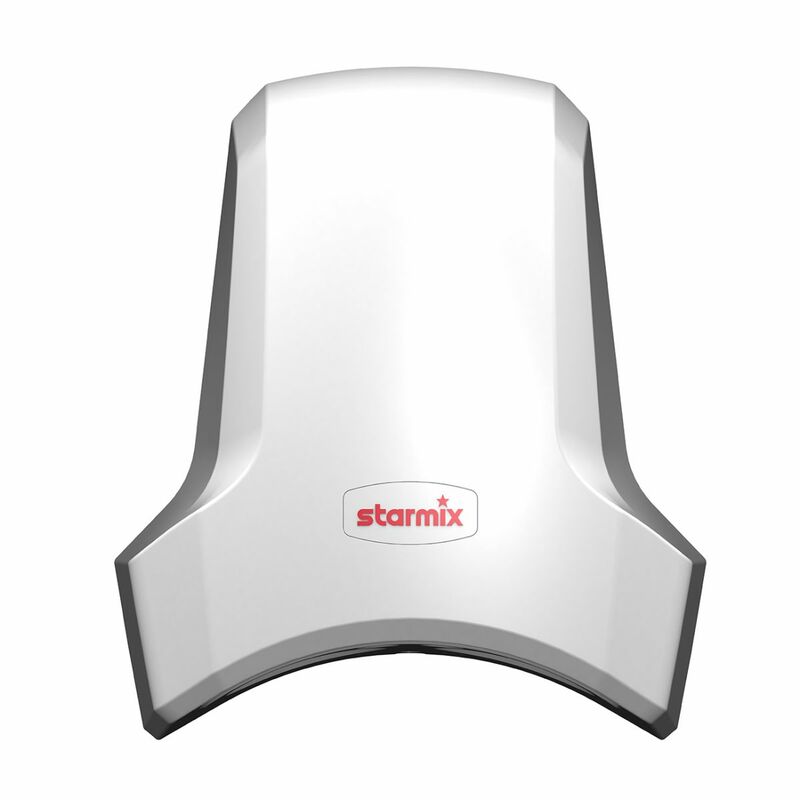 The AirStar T-C1 electric hand dryer offers a cost savings of up to 80% compared to paper hand towels and cloth hand towel rolls. The device is 100% recyclable and thanks to contactless activation ensures absolutely hygienic hand drying. Saving energy at full power is the slogan. Electricity savings even in high-powered sanitation - this is energy efficiency at its best. Nevertheless, this is not at the expense of performance. With the innovative nozzle construction, a hand drying time of only 17 seconds is achieved. A slight heating of the drying air takes place thanks to the operation of the engine. Maximum comfort meets attractive design. The integrated mounting plate and the maintenance-free motor make the device electrical-friendly. The surface is easy to clean and the intake grillle can be cleaned by suction. This makes the device easy to handle for the cleaning person.